A healthy mattress can be just what you need to enhance the quality of your sleep and wake up feeling refreshed and well-rested. Natural latex mattresses can provide those benefits to you, and being considered healthy mattresses themselves, they have a lot of other good things to offer, not just to your health, but your well-being, too. That is because natural latex is a material that is made by nature in the form of sap from the rubber tree, harvested in a sustainable way, and transformed into a firm and comfortable mattress without harmful chemical treatments and processes that could potentially make the product unsafe in the long run. Natural latex mattresses are very supportive and comfortable sleeping surfaces because they conform to your body and provide support where you need it most. This way, you can wake up without any sore spots and aching joints. Pressure points on your hips and shoulders are properly cushioned to provide more comfort, even if you sleep on your back, sides, or on your stomach. The mattress keeps your spine properly aligned, too, so you can wake up without backaches. The material breathes and maintains a neutral temperature to keep you comfortable. Hence, you do not have to worry about waking up in the middle of the night complaining about the mattress feeling too hot or cold. 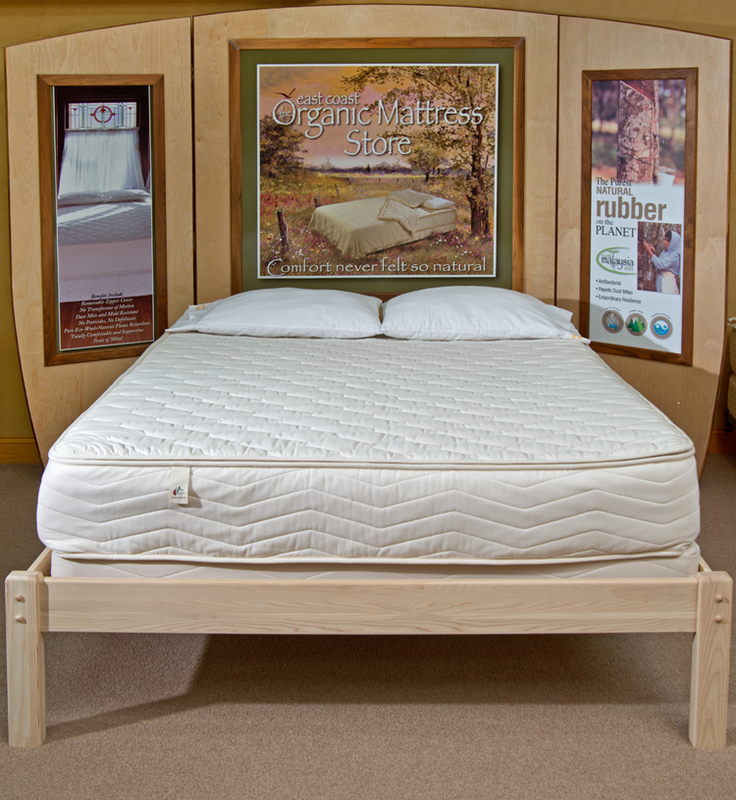 Natural latex mattresses are durable and can last over two decades. If someone sleeps beside you, you do not have to worry about waking them up every time you move because the material eliminates disturbance caused by transference of motion. Being a breathable material, organic latex helps prevent moisture buildup that can cause mold, mildew, and fungal growth. Hence, you should not have to worry about health problems associated with them. Natural latex mattresses can repel dust mites, making them ideal if you are sensitive and allergic to those bugs. The mattress will help relieve your allergies so you can wake up without any itching or sneezing.